So What Happens When He Gets Around to Letting Go of the Lasso? Okay, Steve, so what happens when you inevitably let go of the lasso? You gotta sleep at some point, after all. Somehow I don’t think you’ve thought your brilliant scheme through. 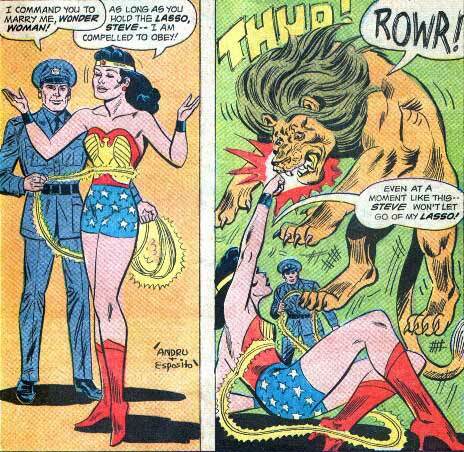 Hippolyta’s Into it Too, Who Knew?